Welcome to Deal Seeking Mom! If you’re visiting my site after watching me on Good Day Columbus this morning, you’ll be pleased to find that I’ve compiled all of the great freebies that I talked about in one place for you. Be sure to take a look around my site though – I’ve got plenty of other freebies and deals I think you’ll be interested in that we couldn’t fit into such a short segment. FREE Blue Bunny Neapolitan Bars at Walmart –Score FREE Blue Bunny Neapolitan Ice Cream Bars at Walmart with printable coupon! FREE Breakstone Doubles at Meijer –Get FREE Breakstone Cottage Doubles at Meijer, no coupons necessary! FREE Scotch-Brite Sponges at Kroger –Kroger has Scotch-Brite Sponges on sale 10/$10 this week. Get them FREE after coupon! FREE Brewed Coffee at Starbucks on Tax Day –Pick up a FREE brewed coffee at Starbucks on Thursday when you take in a reusable travel mug! FREE Kraft Macaroni & Cheese coupon –Register on Facebook to receive a coupon for FREE Kraft Macaroni & Cheese by mail! Looking for more ways to save? Find the best coupon deals at local stores in the Grocery Grab. Plus be sure to check out the Drugstore Deals as well. 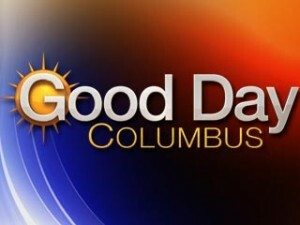 You appear on Good Day Columbus presumably to teach viewers how to capture the deals and yet I can not find any recap of the current weekly ad for Giant Eagle or Meijer on your blog. Andy, I don’t currently cover Giant Eagle or Meijer, but you can find coverage for Kroger, Walmart, and ALDI. Kroger does not accept internet printable coupons that are over 75% of the products value. For example, if the item is $2.25 and the coupon is for $2 off, it is unlikely to be accepted. If the product is $5, a $2 coupon will be accepted. Since I saw you on Good Day Columbus, and you said you could get scotch brite sponges free at Kroger this week, I didn’t even think to check the policy, and I am imagining that it didn’t occur to you either. You’re right, Terese. However, not all stores actually enforce that part of the policy, and I should have mentioned that in my post. Thanks for pointing it out! If you google the beginning of sale date in your area, and the store name, you will find the sites that cover Meijer and Giant Eagle, both of which I first learned of here on dealseekingmom, like bargain brianna and maybe cherrypicker? Good luck!